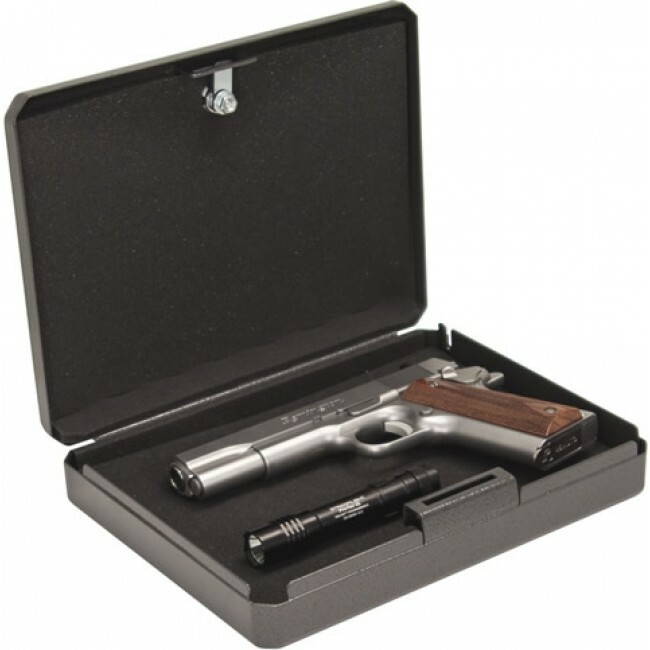 The HD-90 is a portable pistol safe with a great price! 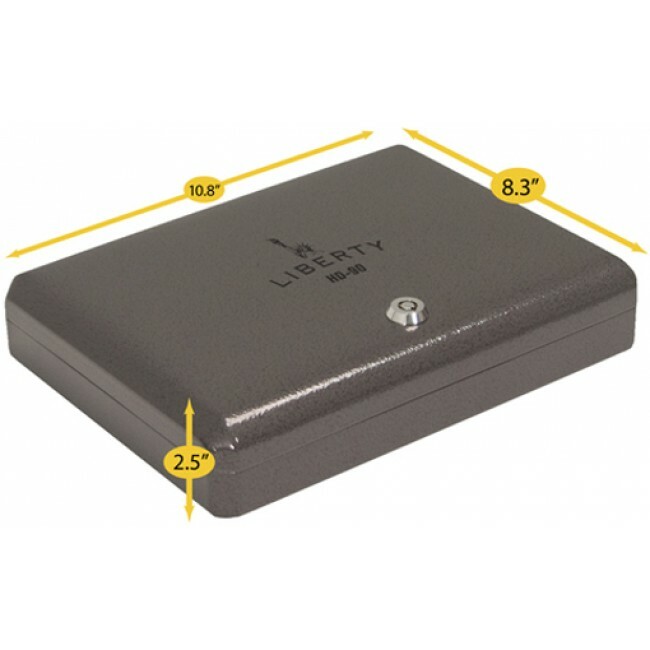 This pistol safe is a tough, on-the-go pistol safe that provides robust security, a key lock and will fit most standard handguns and small valuables. 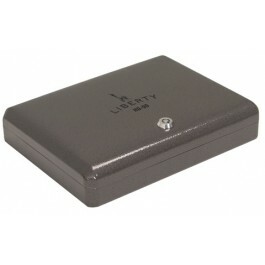 The included security cable means you can lock your safe down while out of the office and/or car.